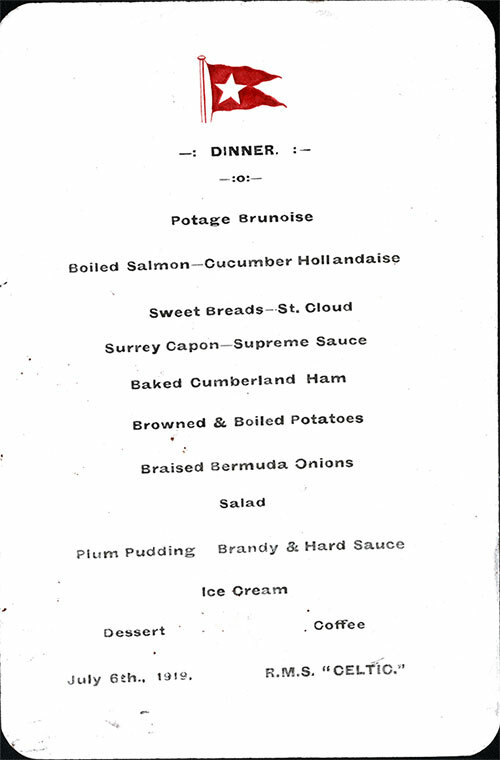 Vintage Dinner Menu Card from Date on board the RMS Celtic of the White Star Line featured a limited menu including Potage Brunoise, Boiled Salmon-Cucumber Hollandaise, and Brandy & Hard Sauce for dessert. 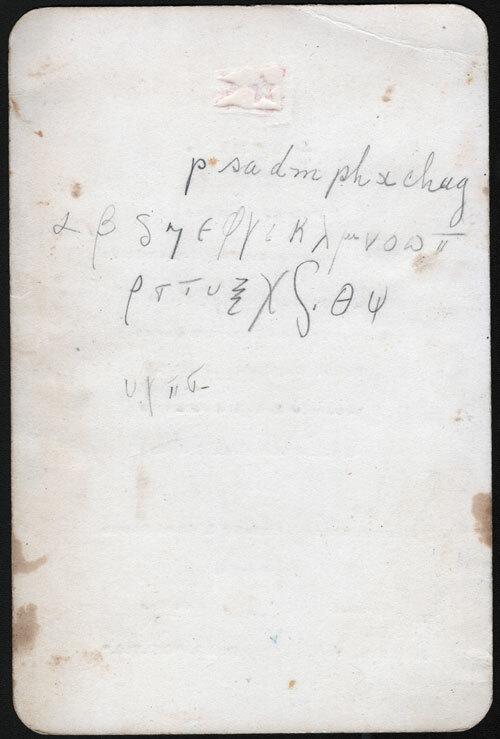 The reverse side contained handwritten notaions from the passenger. July 6th., 1919. RMS "CELTIC"
Menu contributed to the Gjenvick-Gjønvik Archives by the Victoria University Library, Victoria University in the University of Toronto, Toronto, Ontario, Canada. Description: Post World War I Menu Card from the White Star Line that features many items typicaly served such as Eggs, Potatoes, Bacon, Sausage with Rice, and Toast with Preserves. Cereal included Rolled Oats and Toasted Cornflakes. White Star Line Logo appears on the Top Center. Provenance: Unknown Passenger onboard the RMS Celtic of the White Star Line on a westbound voyage that departed from Liverpool and arrived in New York on July 13, 1919. Received from the Victoria University Library, Victoria University in the University of Toronto, Toronto, Ontario, Canada. July 2012.